Just had an amazing day at the Fort Process sound and art festival at Newhaven Fort! It's the first festival I've seen run at the fort, but with its labrynths of tunnels, staircases, passages and caverns it turned out to be the perfect venue. It was rather like being at a mad scientist convention in the dungeons of some Bavarian castle, all resonating with otherworldly chimes, lush drones and earsplitting bursts of static, never being sure what you'll find around the next corner. Often sublime, occasionally ridiculous, sometimes frankly terrifying. My involvement was with Sara Jane Glendinning's project; The Landing. 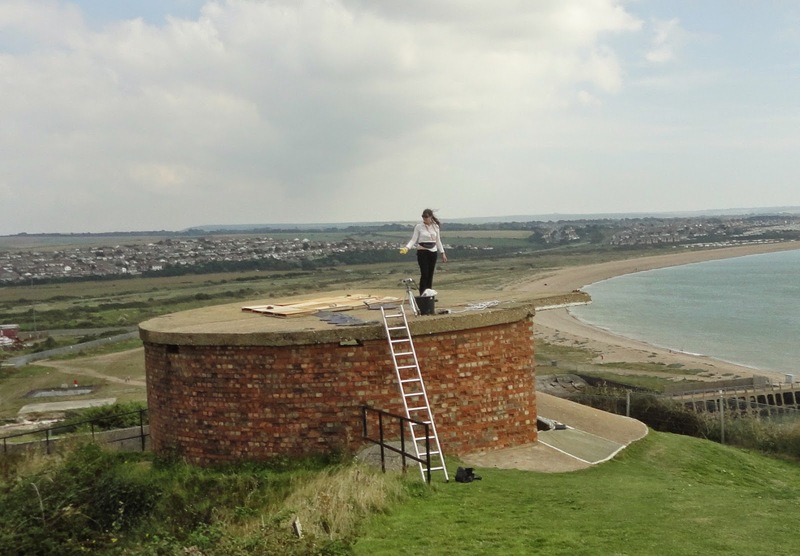 The concept was that the local seagulls would get involved by landing on a surface made up of sixteen large switch pads on the roof on one of the old gun emplacement towers, enticed by food of course. The pads were set up to trigger arrays of spoken word samples, field recordings and musical sounds when stepped on. These sounds were mixed with the live sound from a microphone on the roof and played to the audience at the base of the tower. 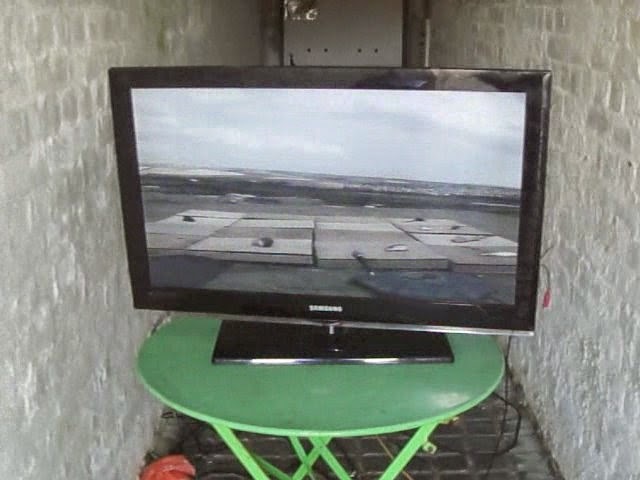 A camera on the roof also relayed live images of the pads. It was not all lost though.. it was a windy day and occasionally the pads would trigger by themselves. There was a Dali-esque treat in store for those who wandered over to our monitor screen to see fish heads, arranged over what looked like a big chessboard, apparently chatting to each other ("No No No! ", "Over Here! ")!